Brief Synopsis – After a disgraced police officer is suspected of murder, he must gain the trust and help of his lawyer in order to solve the crime. My Take on it – Thisis a film that I’ve been interested in seeing ever since it came out thirty years ago, but never got around to it. 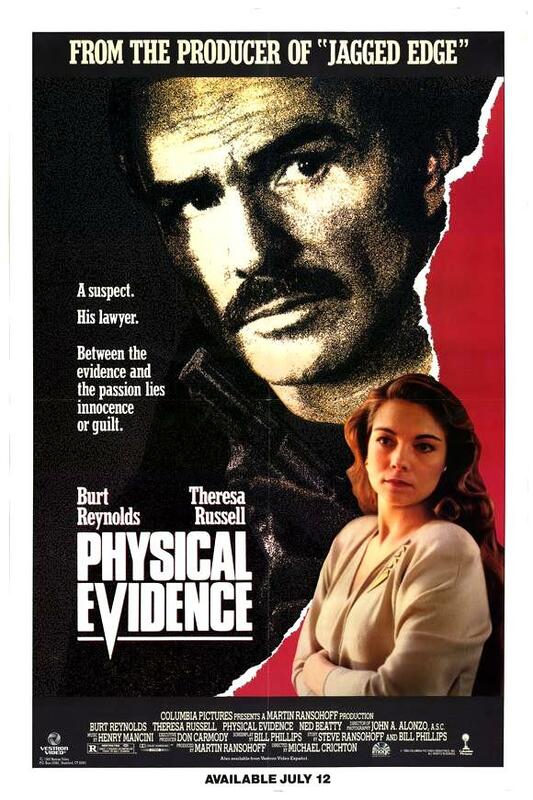 Burt Reynolds was always a much better comedic actor than dramatic one and this film is further proof of that because he feels quite miscast in the lead role and it’s quite hard taking him seriously in this kind of character and doesn’t manage to evoke any kind of real sympathy for his character throughout the film. He lacks any kind of real chemistry with co-star Theresa Russell and that hurts the plot so much because it relies too heavily on the connection between these two characters as the story moves along. As a thriller, this film lacks too much of an intriguing mystery and as a crime thriller, it’s quite mediocre in the way it presents the story. The main thing that this film has going for it are the action scenes and in that respect they do manage to have some nice sequences set up even if they ultimately don’t help make this film any more interesting or even thrilling for that matter. This kind of plot has been done much better both before and after this film was made especially since the premise that a cop is wrongfully accused of a crime isn’t such an original idea. Bottom Line – Mediocre crime thriller that doesn’t work as well as one would hope. Reynolds is miscast in the lead role and doesn’t manage to evoke any kind of sympathy for his character. His chemistry with Russell is non-existent which hurts the idea of taking the way things progress seriously. Has some nice action scenes, but overall, this film is quite lacking.